This post was read more often than any other of my other posts. I think that comes from the fact, that it was discussed in a french tango magazine. I did not read the article due to my lack of time and energy to struggle with a long french text, but I fear that the article might have misrepresented my statements - at least many readers have gotten it completely wrong, judging from the reactions that I got in numerous personal conversations. So, I want to rectify: Although I ask some provocative questions, I still think that Encuentros, Festivalitos and (from what I can tell) also Marathons make important contributions to our tango world and have encouraged social dancing all over Europe. Most accusations of elitism are widely exaggerated and the result of individuals, feeling rejected or left behind. So, that's it. For more clarifications, please read my comments on this post. „Again with the drama, Melina?“, says my imaginary reader. In this case, I want to ask the question, if we - meaning I and all the people who share a certain philosophy of social tango - have unintentionally hindered the development of tango as an art or creative process. At least in Europe. Yup. After all these years of promoting purely social tango, let me for once be the advocatus diaboli. I‘ve been around for a while. Not for a super long while, but let‘s look back to the turn of the millennium. In 2000, if you were an organiser, a tango club or a local tango teacher, once or twice a year, you planned a festival. You invited one or two teacher couples and an orchestra, you organised classes and a demo... Depending on the scope of your activities, this could be a small regional event - a festivalito - or a huge international tango festival. From 2003 on, Detlef, I and the Tangokombinat organised quite a few festivalitos. It was a hell of a work and you always risked to be totally broke after it... but it was also fun and we created some lasting memories. And today? Everyone who‘s someone will organise a marathon or an encuentro: no demos, no classes, no orchestra. I myself have contributed to this development by promoting these events on my blog, in my classes, through my mailing list or just by talking to people. And I do think sincerely and proudly, that the European tangueros have created a unique form of tango culture, focussed on the social encounter and the embrace. No, because that‘s only one side of the coin. The encuentros and marathons have not only been added to the variety of tango events, they have replaced festivalitos and festivals, even regular workshop weekends: many big traditional tango festivals are getting smaller (in numbers of participants) or are dying, festivalitos milongueros are transformed into encuentros and instead of a workshop weekend, you organise a marathon. There is even the notion that the „good“ dancers will not go to festivals anymore. Those are only for the „show-offs“ and „beginners“. A result being, that these events (festivals and workshop weekends) get less frequent. In these last 10-15 years, I have seen so many people develop into fine dancers with a nice embrace and an interesting musicality. One of my chief reasons to teach, was to help form more dancers with whom I would want to dance. I can be very happy with the results and I enjoy the tandas with my favourite partners from all over the world, many of them having taken our classes. But in the last two years, I have also also noticed stagnation and in cases fall-backs. Many dancers „of a certain level“ have stopped taking local classes. Organisers do tell me, that people stop even booking workshops with travelling teachers, which is why they are reluctant to organise them. No problem, comments the experienced dancer, we don‘t need to learn more, we do just fine with what we know. Sure, but we all agree, that Milongas are not the place to practise. There are many skills, that you will only improve at a Milonga, e.g. navigation on the dancefloor, but there will be others that might even deteriorate, if you "only" dance and never practise. At a Milonga, you will only rarely go out of your comfort zone. You might be inspired by other dancers at an encuentro, but you only rarely develop new forms of movement or work on your skills of communication. As a teacher and social dancer who prefers to dance with her students and can therefore compare, I have to say, that most of my partners lead better in the learning context. That makes sense, as the environment of the milonga will distract even the most experienced dancer. There are other couples to take care of, there are people watching, there is the wish to „entertain“ the partner... Very often this leads to rather „sloppy“ leading and to constant repetition of „safe“ and preferred patterns. The level of true improvisation is very low at a social dance event. In class or at a practice you will hopefully have the space to move without the fear of walking into another couple. You will to be able to stop and think, to explore things slowly or to just listen to the music. You have the freedom to make mistakes. You can concentrate on special aspects of your dance and focus your attention on one thing only. And you get the feedback of a partner or a teacher. At an encuentro or milonga, you‘ll only get the praises of your preferred milongueros. That‘s a nice self-affirmation, but we‘re not that vain, aren‘t we? Let‘s not forget: You also learn by teaching. Out of the need to develop new workshops, I had to explore all kinds of musical and movement-related questions. This widened my horizon as a dancer and as a teacher. Everyone who teaches seriously, will experience the same I guess. Tango classes and practicas help us improve our dance and to refine tango as a dance itself. I always say, that tango is lifelong learning. And we all still want to learn, don‘t we? Experienced dancers don‘t like demos, they prefer dancing themselves. This is why there are less and less demos at events. Even workshop weekends nowadays refrain from having them. One of my favourite partners told me that he hated demos - right after we had done one. So that was not very polite, but I had to agree, as I am mostly bored by them as well, especially if they are choreographed. Plus: We all know the disastrous effects that a show can have for the social dance floor at a festival. But demos also inspire people, they inspire them to dance, to develop their dance or to try out new things. My capacities as a performer are quite limited, but even we got so much warm and heartfelt feedback after demos or concerning our videos on the net. I believe them, when they tell me, that they were touched or inspired, because I can feel the same sometimes. Additionally: the performers learn by performing. First of all by watching their own video later! You cannot imagine this constant reminder of your own weaknesses and the effect it may have on your development. And the fact that others are watching, will force you to concentrate, to really give your best. Ok, sometimes this can go terribly wrong, but you know what I am getting at. And even choreographies can make sense. I remember a discussion with Eduardo Capussi, who was offended by our (rather insensitive) remark, that we prefer improvised demos at our events. He told us, that choreographies not only can be a work of art, but they force the artist to connect with the music on a higher lever, to invent new forms of movement, to become a better dancer... Tango, also social tango, has been pushed on by performers, not only by social dancers. Let us not forget that. Back in the day - if you wanted to attract good dancers - a band was a must. I still remember Alfredo Marcucci playing at our soiree in St. Wendel and the orchestra „Sabor a Tango“ as well as a gifted soloist playing a Milonga for us on the organ in St. John‘s church in Saarbruecken. Those where memorable moments. I have to admit, that even then, I preferred dancing to the „old orchestras“ presented by a good DJ, but I still enjoyed sitting, listening and watching the musicians, those artists who put all their emotion and experience into one tango. Who kept up a tradition, who played and travelled for very little money and even less recognition - at least by the modern milongueros or maratonistas. Because those don‘t go to events with live music any more. Neither do I. Something to be proud of? I guess not. I have lost contact to musician friends, I never hear new compositions... Are there even new compositions? Will there be less new tango music because we only want to listen to the orchestras of the epoca d‘oro? Yeah, I know (and have used) all arguments why those orchestras played better and more danceable than today‘s formations. But let us not forget, that the golden age was not only about the dance. It was a time of great musical development. How can there be growth in that field, if no-one will pay the musicians to play, study and perform? Is it ok, that tango music is more of a nostalgic remembrance and less of a living art? Does this affect us dancers? Tango festivals were always the place to present tango-related art. Not only musicians, but also painters, media artists, photographers and other creatives were given an opportunity to show their work. We used to co-operate with a local photographer and media-artist for our FCA and created some very interesting projects in years past. Not today. Don‘t we want to encourage the fine arts to deal with tango? I‘m not talking about the separation between milongueros and maratonistas. In my penultimate post, I pointed out that these borders are starting to vanish. I am writing about a division into „the normal dancers“ and the „elites“. Those who go to local milongas or festivals, those who „still take classes“, who enjoy the distractions of demos, orchestras and art and the others who don‘t need that kind of stuff any more because they „just want to dance amongst other good dancers“. The elite complains, if there are too many „beginners“ or „non-encuentro-experienced dancers“ at one of „their“ (OUR) events. Even those few still existing „festivalitos“ have turned into international events, where only dancers with a reputation as advanced social dancers will be admitted. No beginners please, they might disturb the ronda! We all surely agree, that albeit being convenient for the experienced milongueros and maratonistas, such a kind of separation will have negative side effects, especially when it comes to the development of tango communities or beginners. That makes me think of a local milonga in our vicinity. The organisers and teachers discouraged their beginning students to participate at the milonga, because this was supposed to be an event for experienced milongueros. So the beginners did not dare to show up, quite a few of them stopped dancing again... Also many experienced Milongueros stopped dancing or rather went to new Milongas in the region... there were less and less people.. and the Milonga had to close. 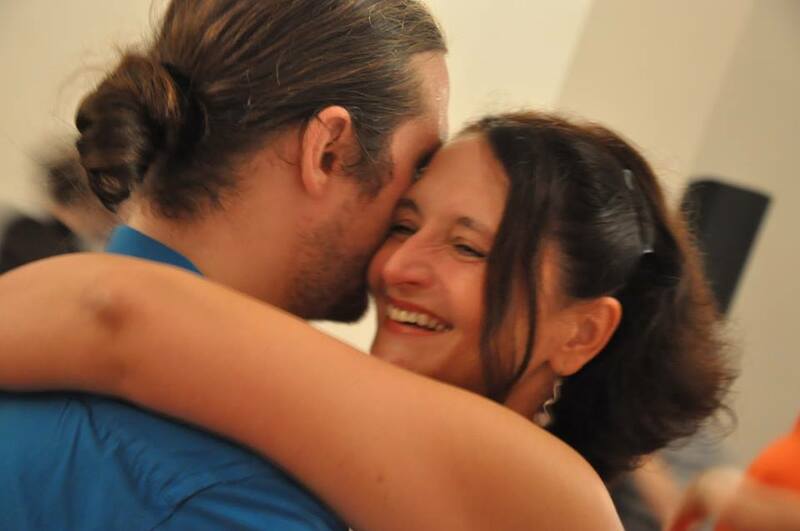 It used to be one of the best Milonga in Germany, one of the first with tandas and cortinas, with close embrace and cabeceo... and it died. Because there was no „next generation“, that was allowed to be inspired by the experienced dancers at the milonga. You might say, that this will never be the case with the marathons or encuentros, because there are still so many new people wanting to be there and so many new events of this sort. Yes, for the moment, there are. But if you look closely, all those events are often populated by the same few people who‘ve been touring the community for the past few years. What if they get tired of the tango circus? Will there be new blood? Please don't misunderstand me. I don't want to promote our classes or encourage more organisers to invite Detlef and me. As of now, we have cut down work deliberately and I don‘t even know, how much I am going to contribute to all this in the future. Also I am no artist and therefore my means and knowledge are limited to only a few aspects of tango. But there are others, who should and surely will be more active in the future. The next generation? Disclaimer: I will of course continue promoting and going to encuentros because of the the high quality of social and respectful dancing that I can find only in this environment. Also our FCA will stay an event, to which we invite on a personal basis - although I have to state, that a good dance-level is only ONE of our reasons to invite someone and we always try to integrate "new" Milongueros. But still, it IS an encuentro and therefore per se prone to a certain elitism. I will also not start choreographing demos or invite stage-dancers to teach or perform at my events. I will always prefer dancing at a milonga over watching or doing a demo. And most likely, I will always prefer dancing to Di Sarli instead of any modern orchestra. But this post is not about my personal preferences. It is about Tango. Please note, that this is no complete list, just a personal recommendation. So… here goes…. Nah... you all know, that these are just stereotypes. There was never black and white, but all shades of grey, all kinds of events. Over the years, more and more Marathonistas joined the ranks of the Milongueros and I have even heard of the odd Milonguero visiting a Marathon. Now there are even „Marathon and Milonguero mergers“ - obviously a big success and great idea, because both groups actually have the same preferences: dancing socially to traditional music. Yet, despite all similarities, there was and still is a feeling of „we“ and „them“. You could always be sure to enjoy ourselves at an Encuentro, because you‘d meet with dancers who share your philosophy. But recently, a divide is opening in our midst. It is called „separate seating for men and women“. Events for Milongueros WITH separate seating: Men and women are seated in different areas, usually on the two longer sides of a room. Sometimes, there is an additional area for couples or mixed groups of friends, but the majority of places will be taken by the women‘s and men‘s sections. Quite often, seats are assigned to you, before you enter the Milonga. The average age at these events usually is a bit higher and most take place in southern European countries and France. A change of roles (women leading, men following) is less likely to happen at these events. Events for Milongueros WITHOUT separate seating: Men and women are seated in mixed groups. Sometimes, seats are assigned in advance, but more often, you just choose whatever seat is available and are free to change places during the Milonga. The average age is a little lower and you‘ll find a growing number of (ex-) Marathonistas at these Milonguero events as they have discovered, that Milongueros indeed do it better. ;-) Changing roles is getting quite frequent in this context, which is why some organisers (including me) nowadays manage bookings by „followers & leaders“, not anymore by „men & women“. You might prefer the one or the other type of event, yet you can still count on the fact, that the other pre-requisites for Milonguero events are met by all Encuentros or Festivalitos on my list. So if you don‘t mind whether you are seated gender-separated or in mixed groups, you can visit any of them and enjoy the party! However, I am facing another problem: In the last two years, quite a number of new „Encuentros“ have appeared in the calendars. Far too many for me to visit them all or to be able to know if they are even „authentic“. Unfortunately, a lot of organisers also use the label „Encuentro Milonguero“ to sell their Festival to the Milonguero public, although they do not really share this philosophy. This is one more reason for me, to recommend only such events, that I have visited or that are organised by personal acquaintances. For a more complete overview, check out Gato Milongueiros site. Is a particular event an Encuentro or Festivalito Milonguero? If you can answer most (or better all) of these questions with a YES, than you‘ll have a genuine „Milonguero Experience“. Which is what I wish you all for 2015. By the way: check out the original post "Quo Vadis Encuentro Milonguero".